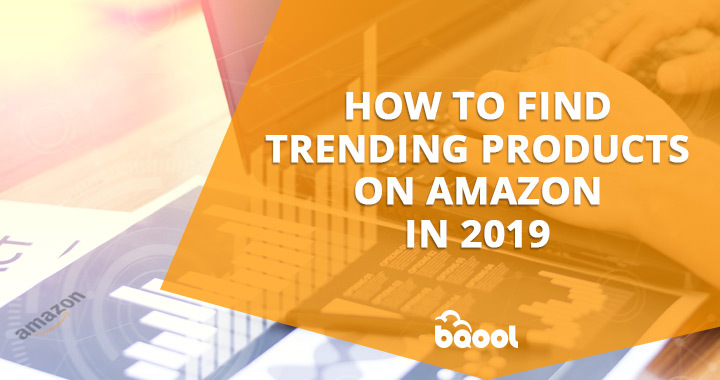 “How to find trending products on Amazon in 2019” is the million dollar question for every Amazon seller. 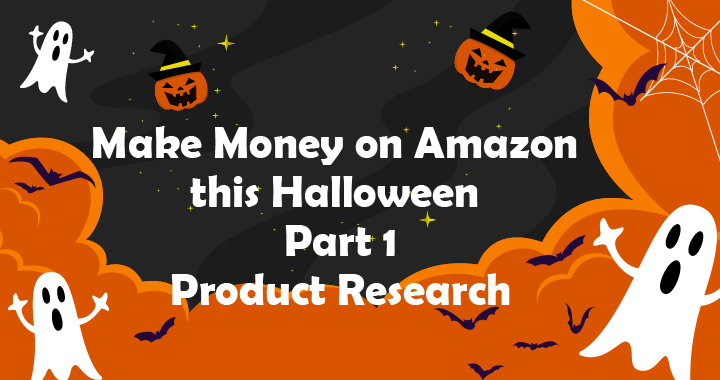 Trending products come and go every year and one of the most crucial aspects of selling on Amazon successfully is selling the right products at the right time. 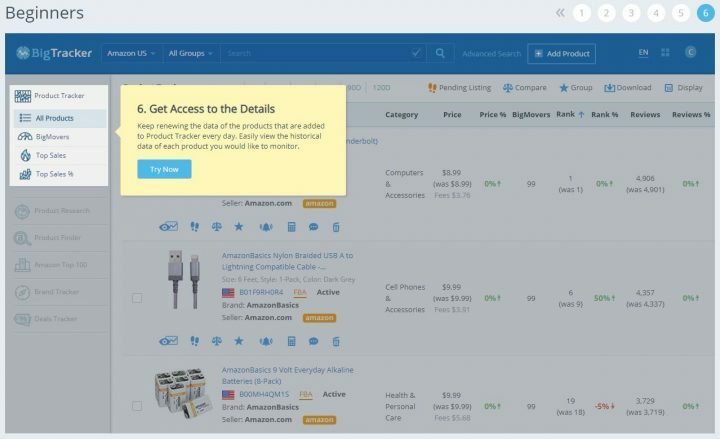 If you’re selling on Amazon as a beginner or looking for a quicker method to discover potential trending products, don’t miss out on this article as we will introduce some tips and tools that help Amazon sellers to accurately find the right products for you. Total Reviews: The number of total reviews accumulated over a certain period of time can provide an indication of the total sales made. Based on the seller experience, one review is left for every 100 orders. Therefore, based on such an assumption, sellers should be able to determine if a listing has an upward or downward sales trend that determines the feasibility of the listing becoming a potential hot seller. Average Rating: Sellers should be aware of items within top 100 rank that have low review rating. Low review ratings reflect either poor product quality or overall design flaw. Taking this into account, sellers are able to make accurate judgments selecting trending products that have a longer product life cycle. Best Sellers Rank: The Best Sellers Rank consists of the top 100 listings from Amazon’s most popular sub-categories. These lists are updated hourly and are based on sales. Note that some of these listings are seasonal products, maintaining its top sales for a short period of time and lose its popularity the following season. Buy Box Price: Buy Box price implies how severe the competition is for a listing. It also shows you whether or not this listing is worth your investment. If you are not able to source or manufacture the product at an acceptable profit margin, maybe the listing isn’t worth your time. Total Sellers: The total number of sellers on a listing indicates how heavy the competition is. If there is only one vendor selling a product, this listing is likely protected by Intellectual property rights or is a registered brand. Sellers should refrain from listing against such listings. No experience? No problem! 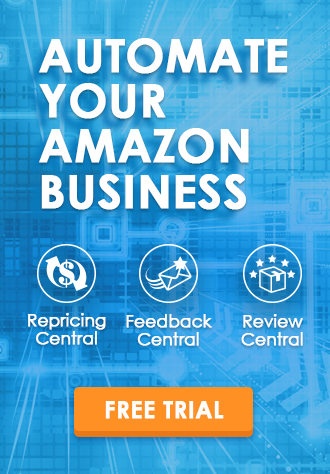 BigTracker provides Amazon sellers with different ways to help find the trending product even you are a beginner has no experience before, you can still nail a solid product research job easily. A quality scoring system forecasts the potential of a variety of products. You can effectively find the right product by using our trusted scoring system and make investment decisions with ease. We recommend investing in products with a score of over 80. 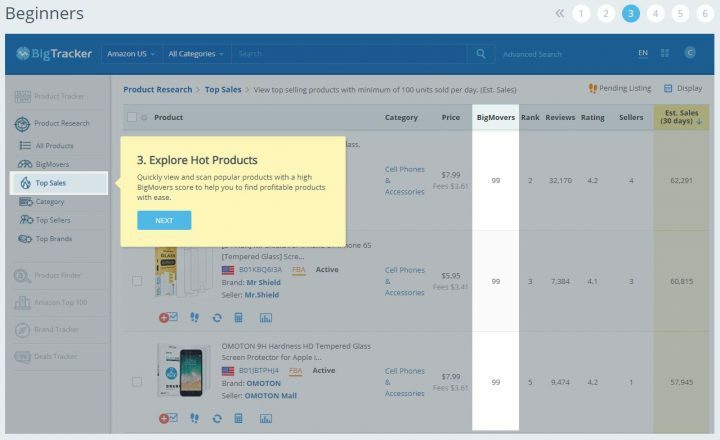 Quickly view and scan popular products with a high BigMovers score to help you to find top-selling items with minimum of 100 units sold per day. 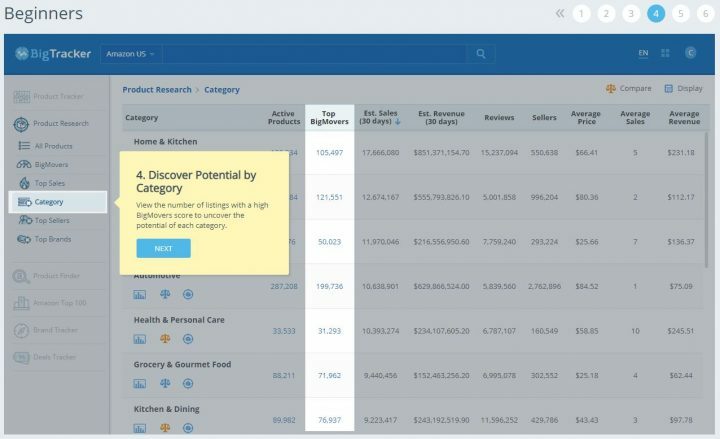 A quick filter feature to view the number of listings with a high BigMovers score so you can discover potential top-selling products of each category to find products to source in seconds. 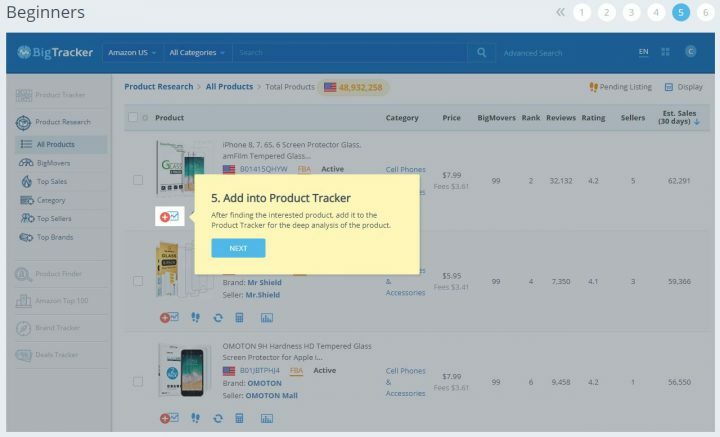 After finding the interesting product, you can add it to the Product Tracker for the deep analysis of the product’s sales performance, price, estimated sales, reviews, sales rank, average ratings and more. Keep renewing the data of the products that are added to Product Tracker every day. Easily view the historical data of each product you would like to monitor. Many sellers go ahead and source potential trending products without collecting and analyzing enough data to support their purchasing decisions. Moreover, conducting thorough product research requires a great deal of time and many aspects of product evaluation. 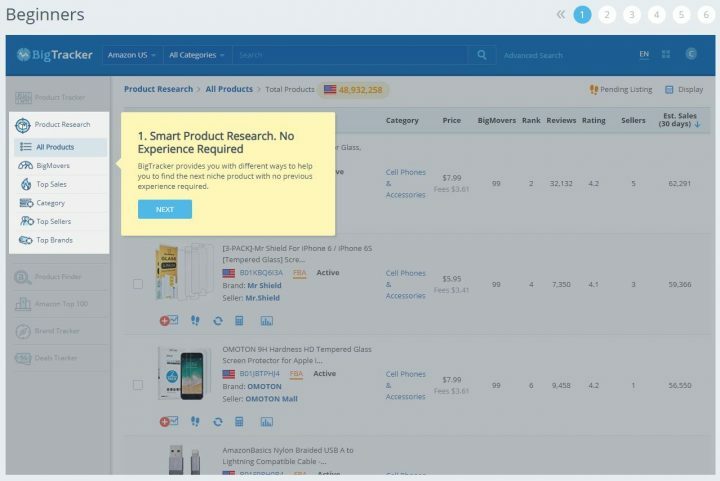 This is why you should consider utilizing a product research tool to gather product information and sales data to help you quickly come up with new product ideas. Thanks to BigTracker’s data-driven product analysis and AI technology, BigTracker can generate a deep analytical comparison chart to help you find the “right” product. 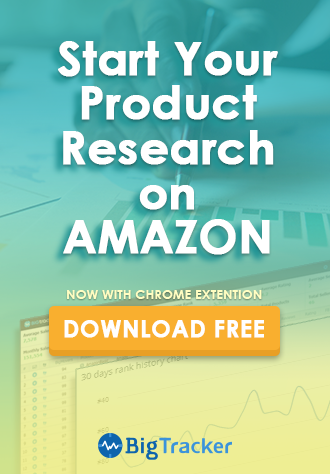 Other amazing features like the profit calculator and one-click attach listing streamline Amazon sellers’ product research process. 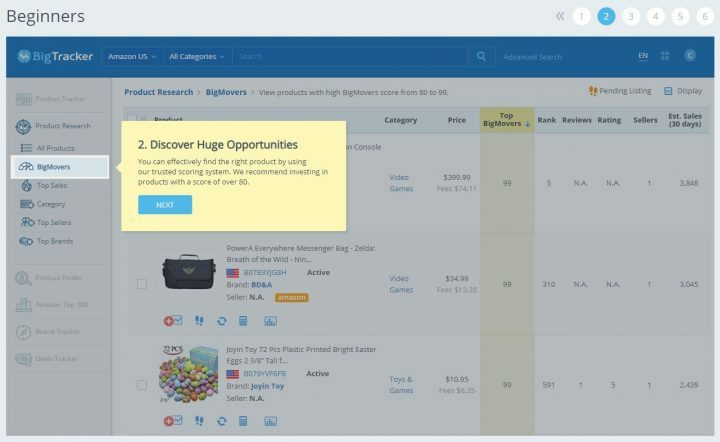 Find your profitable products with BigTracker & start your 14-day trial immediately and cruise your way to become a successful Amazon seller in 2019!